Argentine forward Gonzalo Higuain could be on his way to Chelsea on a 6 months loan move according to media reports. The agreement also gives the blues the exclusive right to sanction an outright summer transfer for Higuian, who has grown tired of life at the San Siro. The London club hastened talks with both Juventus and AC Milan on Wednesday as the Rossoneri played their Supercoppa match against Juventus in Jeddah Saudi Arabia. 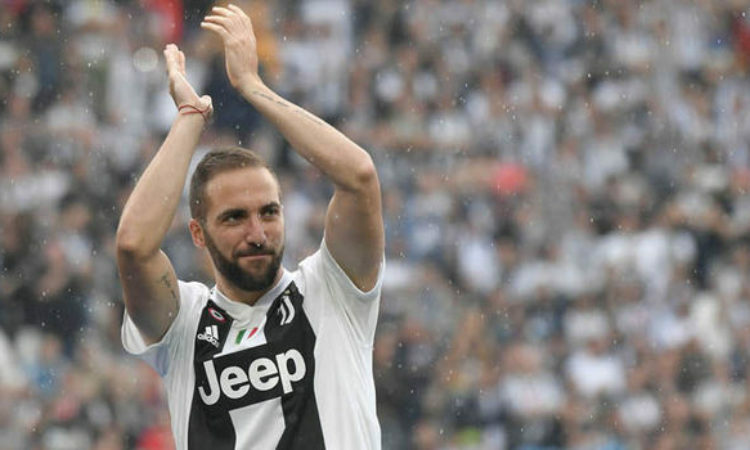 Following the match, Juventus President Paulo Nedved revealed that the Old Lady will need to discuss options with Chelsea over the Higuain, who played barely for 20 minutes due to illness. Milan boss Gennaro Gattuso confirmed it was a fever, not Higuain’s possible exit, that caused his early replacement during the Wednesday’s match against Juve.